The militants 30 times breached the ceasefire. Over the past day, 30 times militants violated the ceasefire regime in the area of the anti-terrorist operation in Donbas. In more than half the cases, ATO forces returned fire to suppress the aggressor. "Unfortunately, one Ukrainian soldier was killed and one wounded amid the enemy shelling," the ATO press center reported on Facebook on Thursday, 14 December. 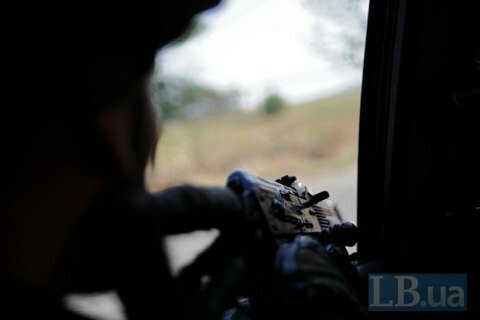 In the Luhansk sector, militants with the onset of twilight fired grenade launchers at the positions of the ATO forces stationed in Luhanske and Stanytsya Luhanska. In the Donetsk sector, tension grew in the second half of the day, especially in the outskirts of Avdiyivka, where the enemy repeatedly fired 82-mm mortars, grenade launchers and machine guns at Ukrainian strong points. Some areas in this front-line town were under the fire of an enemy sniper. The opposite party used infantry armament to shell the defenders of Kamyanka, Pisky and Butivka coalmine. In the Azov Sea sector, Russian mercenaries waged a harassing fire from small arms at the positions of Ukrainian military outside Hranytne. The Parliamentary Assembly of the Council of Europe in a draft resolution called on Russia to stop supporting militants in Donbas.